I’ve been using styled stock photography for a few years now and can barely remember what my life and business were like before I used it. I CAN remember what life was like before and it’s not pretty. You see, before I started using styled stock photography, I really struggled with how to visually represent my business, brand, and blog content (especially on Instagram and Pinterest). But what to do and how to do it made me seriously anxious. So what do you do when you want to outfit your brand with visual accessories and can’t hire someone or do it yourself? You use styled stock photography!! attract customers and increase sales. I’m going to deep dive into each of these things below so that there is NOT A DOUBT in your mind that you NEED to be using styled stock photography in your business today like yesterday. #nobutreally. I can’t tell you how much time using styled stock photography saves me. We’re talking HOURS of stressing, styling, photographing, editing, redoing, and stressing some more GONE because I’ve chosen to use styled stock photography in my business. 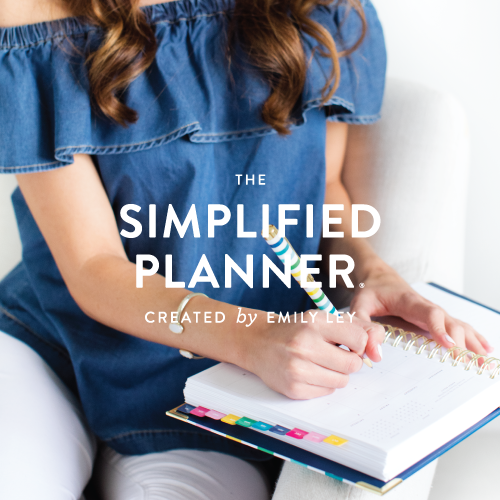 I can create a month’s worth of blog post graphics in 30 minutes with the help of SC Stockshop and schedule a month’s worth of Instagram posts with the help of Social Squares. I also designed my entire website in a weekend with the help of styled stock photography! Trust me when I say, styled stock photography is a female entrepreneur’s best friend! And while buying styled stock photos costs money as well, you’re shelling out far less than you would for the hiring someone or do-it-yourself options. Buying just one high-quality stock photo can take you so far! Side Note: Many styled stock photography shops offer freebies! When you sign up for SC Stockshop’s newsletter, for instance, you get 20 FREE styled stock images instantly PLUS more freebies delivered to your inbox EACH MONTH!!! Did you know that photography is directly linked to your brand image? Having a consistent look and cohesive brand will earn you brand recognition. In other words, people will come to recognize you, your products, your services, your content, your business, and your brand by the way you visually represent yourself online. Using styled stock photography can help you create a look that is cohesive, consistent, beautiful, and professional in all aspects of your business and brand. You’re in search of a particular product or service and happen upon two different websites. The first has gorgeous, professional-quality images that show off their products and highlight their services. The second has tiny, dark, unfocused images where you can’t really make out any of the details, and frankly, looks amateurish. Which site are you most likely to purchase from? If you are not able to take your own photos well or hire a super talented photographer right now, styled stock photography can help your brand look legitimate and professional. It’s a simple thing: great photos attract people. They contribute to the know, like, and trust factor of turning browsers or “just lookers” into buyers. 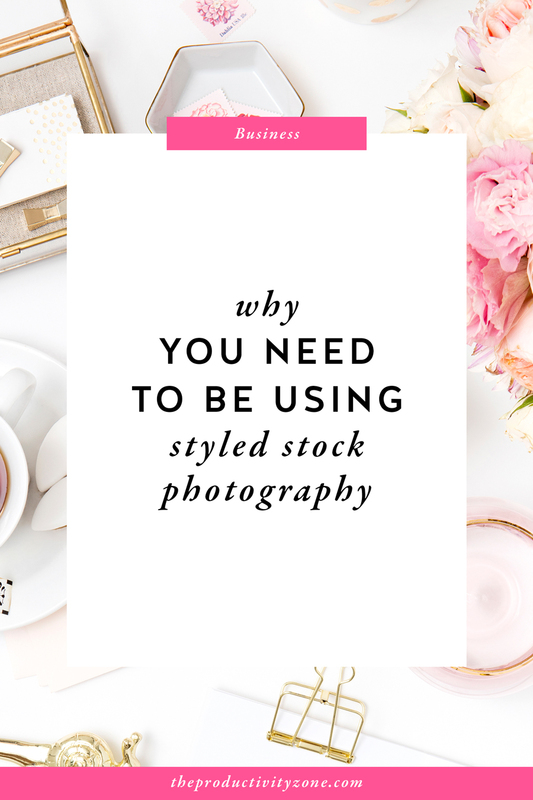 I can’t tell you how many industry friends I’ve seen start using styled stock photography on their websites, blogs, and shops and saw both their traffic and their sales SKYROCKET!! Bottom Line: Using styled stock photography can do wonders for your business and really make your brand SHINE!! 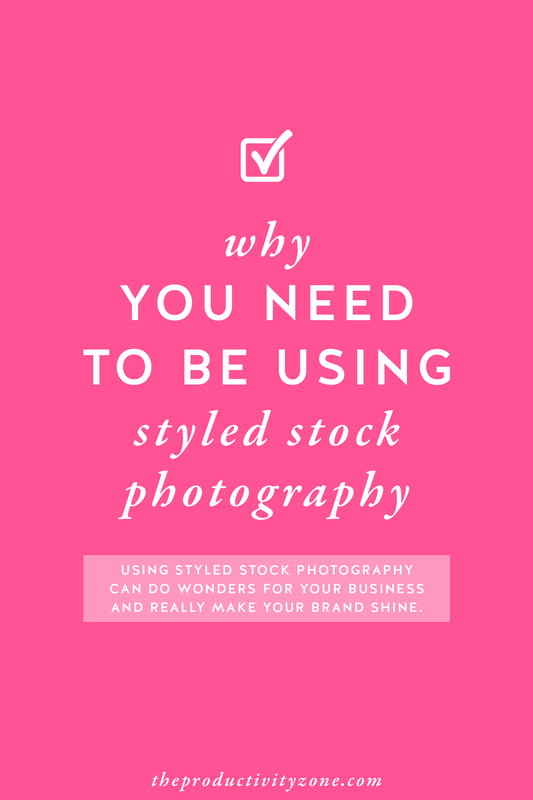 Have I convinced you that you need to be using styled stock photography in your business yet? I hope so! Because it changed my life and business when I started and I bet anything it’ll change yours, too!